To start, this first shot is an utter classic. A long exposure of two of the most London things there are. 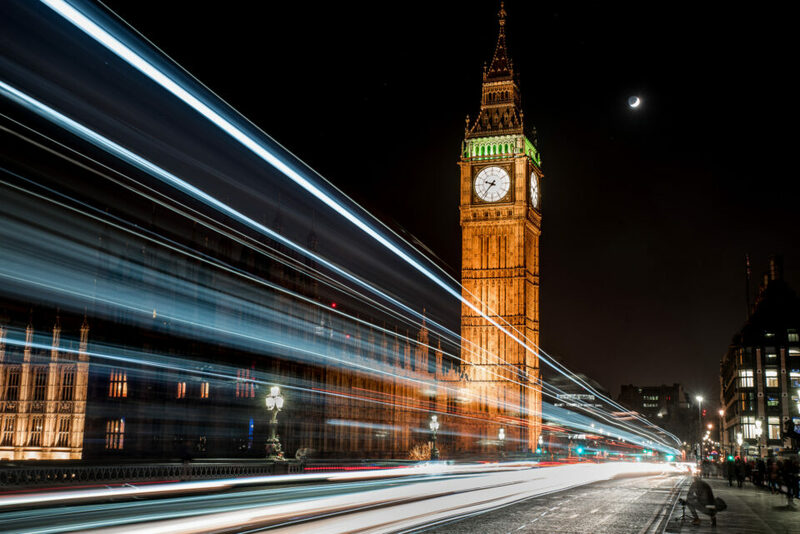 The light trails from a famous Routemaster double-decker bus with Big Ben in the background. This is one of the most popular shots there is and a quick Google of “London” showed several on the first page. I understand why people want to get this shot, but at this point it has really been done to death, and you might want to photograph something a bit more unexpected. A good alternative suggestion would be to do long exposures of the Thames Clippers. These boats ferry people from pier to pier along the Thames, stopping near Westminster, Waterloo, Tower Bridge and Canary Wharf amongst other places, so there are always plenty about. Another handy detail is that they have enough lights on them to produce decent light trails. 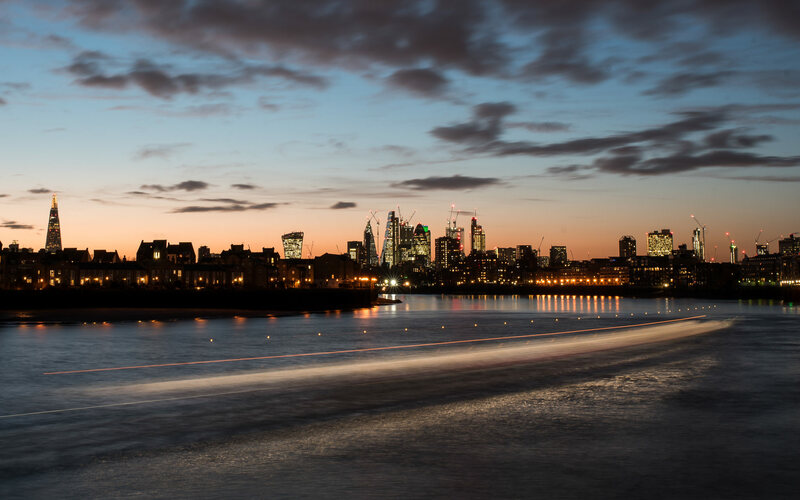 With London as a backdrop, this can lead to some nice night pictures. The following shot takes in the view from the south side of the Millennium Bridge, a pedestrian walkway that provides beautiful leading lines all the way up to the majestic dome of St Paul’s Cathedral. This is a really common shot for photographers in London, but it can be a little tricky if you’re using a tripod. The bridge is made of metal and you get a lot of vibration, particularly if someone walks near you. The more you avoid peak times of the day with this one, the better. My advice here, if you want to do something different, is to try looking the other way! At the other end of the bridge is the Tate Modern. This art museum is housed inside the old Bankside power plant, and while not as iconic as the one at Battersea, still makes for a cool shot. Another tip is to try and take advantage of the many people strolling over the bridge for some street photography, or even combine the two? 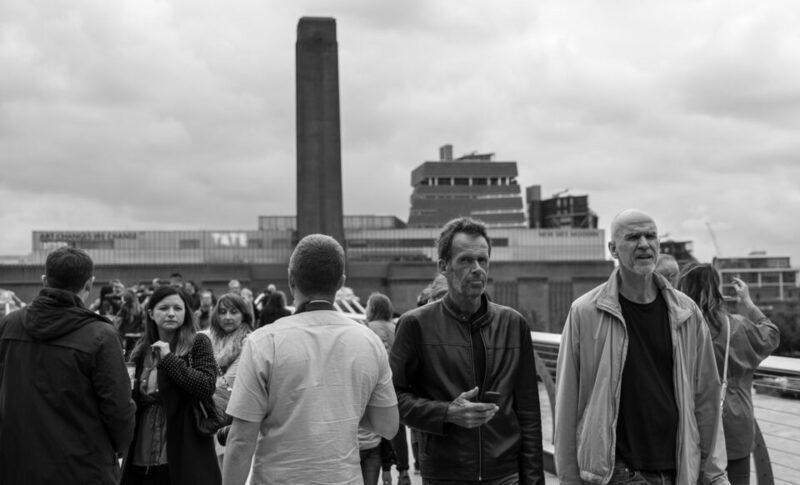 Depending on the time and day, a large variety of tourists, city workers and others will cross the bridge, making for some interesting candid portraits. I first discovered the shot below on an organised photowalk – a juxtaposition of the old against the new. One New Change is a small shopping centre located near St Paul’s Cathedral. They designed the place so that an open corridor of shops leads up to a view of the cathedral dome, with dark reflective glass on each side. I’ve seen many variations of this shot, but far fewer from the rooftop. Maybe it’s less well known that you can go up, but there is a lift that can take you to a roof terrace with a bar and a free viewing area. It makes for a nice view, and I’ve got some fairly decent shots of the rooftops and close-ups of the St Paul’s dome from here. Buckingham Palace is almost always flooded with visitors, particular in the summer months, snapping away and adding to the millions if not billions of photos of the royal residence out on the internet. If you want to avoid adding to that total, why not try Hampton Court Palace? 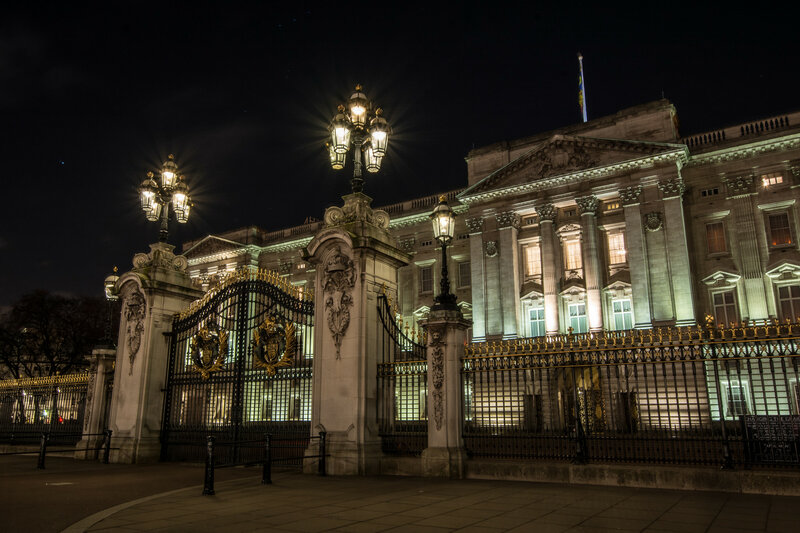 Situated in Southwest London, you’ll leave the hustle and bustle of the city center for a bit, exploring one of Henry VIII’s most famous palaces. To boot, it even has Bushy Park right next to it, a vast area of greenery which used to be the palace grounds. Deer roam freely around the park and are usually pretty easy to find – just be careful not to get too close. 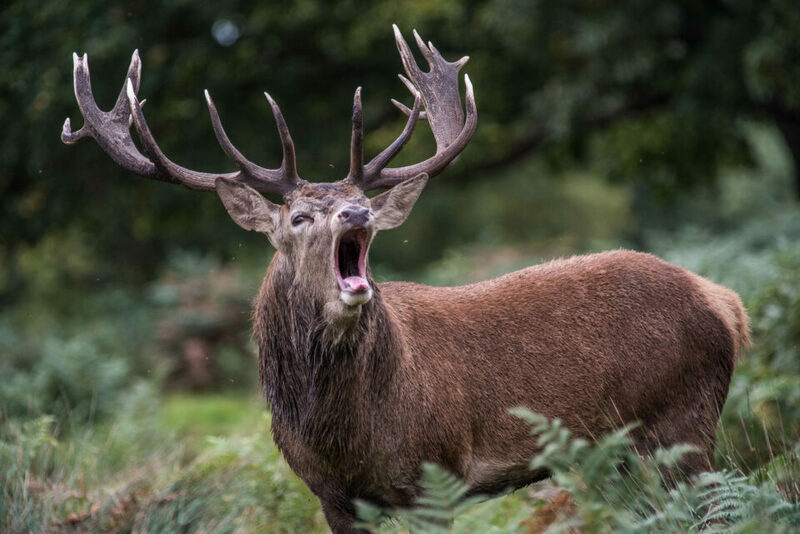 If you’re there in the mating season in late summer/autumn, there’s a chance you will get to see the impressive sight of stags rutting, competing for the chance to mate with the females in the herd. The following shot isn’t quite as common as some of the others in this article, but I’ve still seen it a fair amount within photography circles. 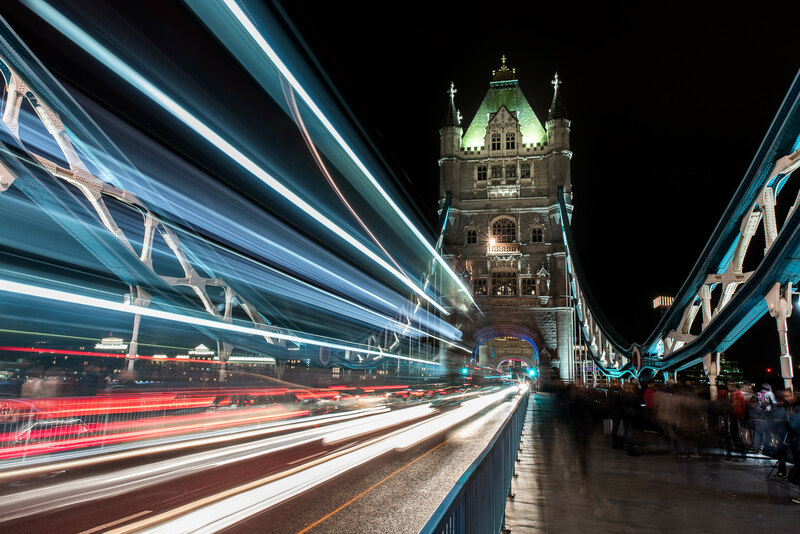 On a busy night on Tower Bridge in the summer, you can pretty much guarantee there will be at least one photographer standing almost in the road, hunched over their tripod-mounted camera and fiddling with their shutter speed. I will admit it does produce a cool shot, but there is arguably an even cooler one if you are lucky: being there when Tower Bridge is raised. This happens a fair few times a month; however, most ships using the Thames are small enough to slip underneath. As you can see below, a long exposure of this sight can look great as each section of the bridge is lit up. You may end up capturing something that looks like glowing windscreen wipers! I’d recommend taking the shot from the south bank, as there is less stuff to get in the way of your pictures than on the north. Then, there is the actual ship going through. There is an old Dixie-style paddle steamer that runs cruises up and down the river, which is tall enough to require Tower Bridge to open. Best of all, it is absolutely covered in lights, making a great light trail going through the bridge. 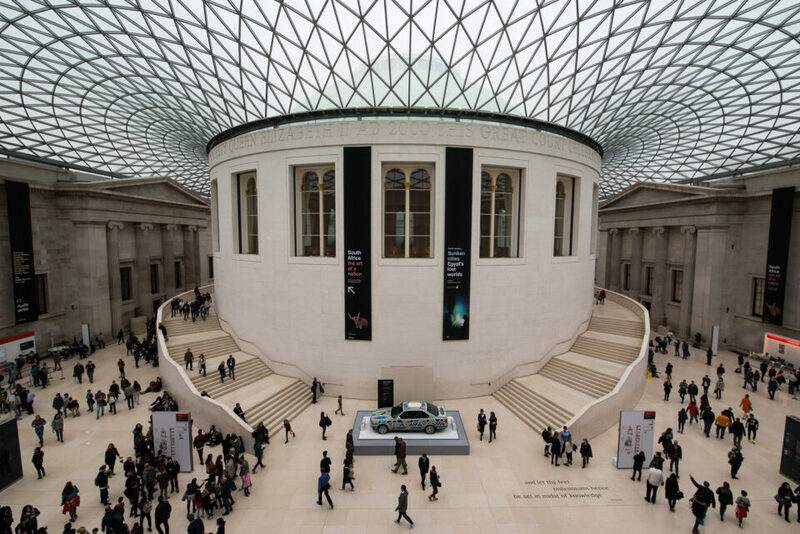 Next up is a popular photo you can capture in the British Museum. After walking in through the small, pillared entrance hall of the museum, you will end up in the Great Court. A massive hall at the centre of the museum, it actually used to be an outdoor courtyard until a competition was held to redesign the space completely. The new Great Court was finished in the late 90s, a modern heart to unite the rest of the museum around it. The perspective photographers like most is found from a much less conspicuous place, however. The vantage point is easy to miss, but on the floor up above the entrance hall there is a small opening 3 or 4 people wide which opens out onto the Great Court from above. There is always some jostling between the few people who notice to get right in the central position for this shot. 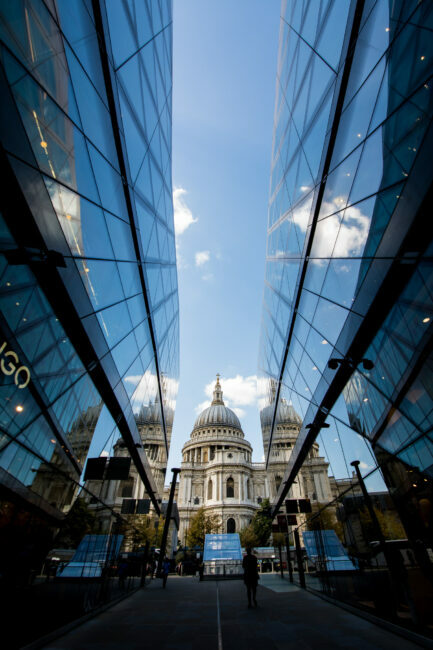 As an alternative to this, why not experience history firsthand and take a walk around the old historic City of London? During the week, it is a hive of activity, as many blue-chip companies have their offices here, with sandwich shops and restaurants on every corner. During the weekend, however, it completely shuts down, and the square mile becomes a photography playground. It is an ironically peaceful place at this time, with far fewer people on the streets and plenty of parks and gardens to explore, as well as a section of Thames path with views of London Bridge, Tower Bridge and HMS Belfast. 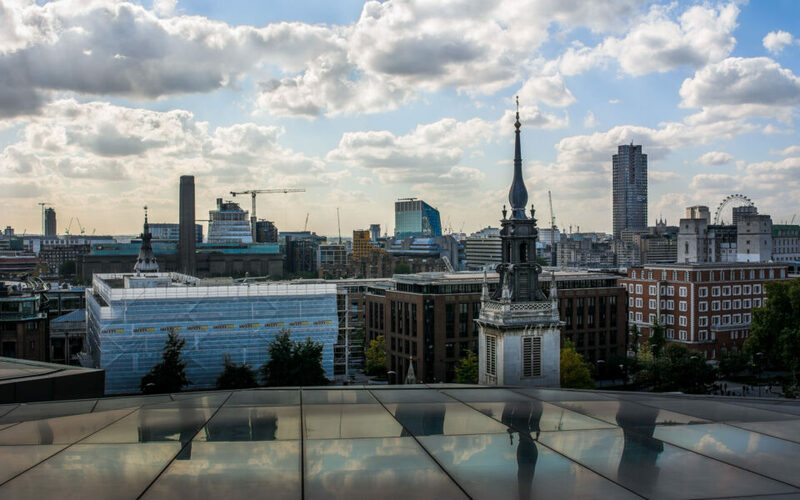 There are many old buildings and churches, including one that was bombed in World War II and has been converted into a beautiful park, as well as the infamous and imposing Tower of London. 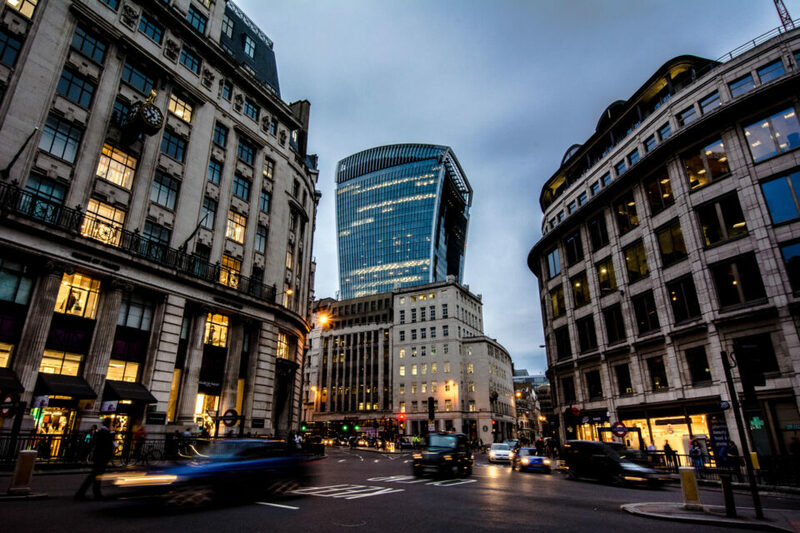 This all contrasts with the steel and glass of the many uniquely designed skyscrapers in the area like 30 St Mary Axe and 20 Fenchurch Street, making for some huge potential, especially for those interested in architecture or history. The following photo is a fairly new shot for the list, which only came about when the old plaster cast of a Diplodocus was removed from the grand ornate entrance hall of the Natural History Museum in South Kensington. 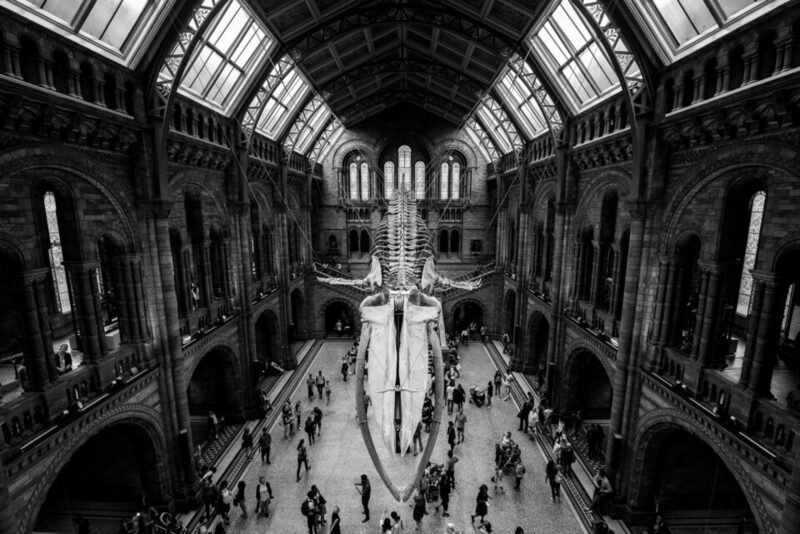 The cast, or “Dippy” as he was called, was sent on a national tour while his spot was controversially taken over by a blue whale skeleton suspended from the ceiling. The effect was undeniably spectacular, and people raced to get shots of the hall when it opened. This has meant a huge flood of whale skeleton photos sweeping the internet, and almost every angle of the new addition has been captured. As interesting as those photos can be, there are other overlooked sights nearby that you may want to explore as well. Right across from the Natural History Museum is another of London’s large free to enter spaces: the Victoria and Albert museum. This contains a number of artefacts from around the world, as well as from Britain itself. 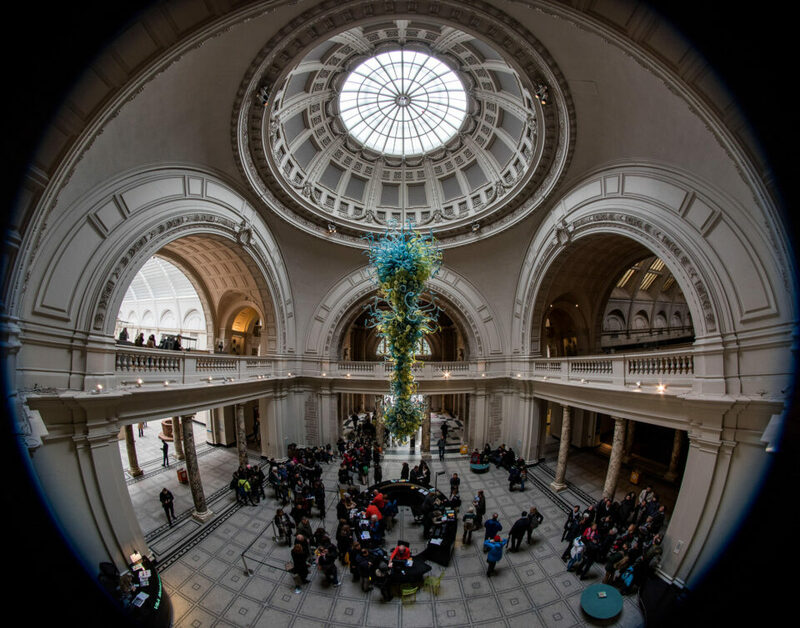 The entrance hall, whilst not as spectacular as the NHM’s, still contains an impressively large glass tube sculpture suspended over the help desk – the Rotunda Chandelier. If you have a wideangle or fisheye lens, this can make a great shot from a number of angles. There is also a gallery on the same level as the chandelier which can be explored as well as the ground level. There are so many great but less well known places to shoot in London that are just waiting to be discovered, and this is by no means an exhaustive list. The main thing I want to encourage with this article is for people to actually get out and find them, which is all part of the fun of photography. 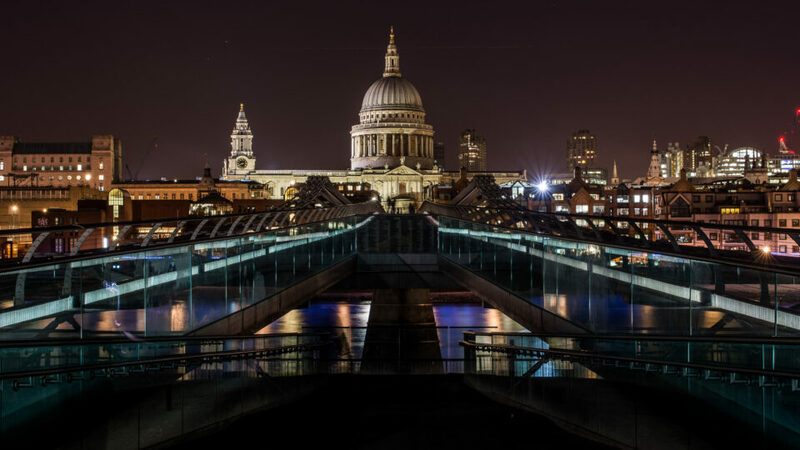 Thank you to reader Peter Cooper for submitting this great essay and beautiful photos from London! You can see more of his work at his website. This article was written as part of the 2018 Photography Life guest post contest. 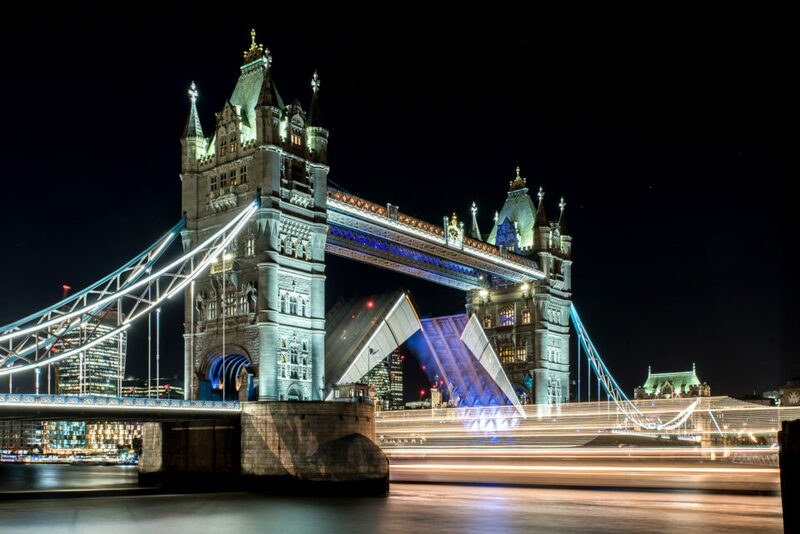 Thank you “Peter Cooper for submitting this great essay and beautiful photos from London!” Excellent photographs, I really appreciate all the camera data you provided in each photo. Sharing your location information and explaining how you went about to improve your captures from the everyday snapshot was very useful as well. Hope to read more from you in the future. A very useful article for travel photographers. Thank you for an impressive gallery of images and a thoughtful narrative. Beauty and intelligence – a good combination. Great images. Loved it. Thanks for sharing. Great article. I used to work in the City of London, near Tower Bridge. As you say a hive of activity during the week, largely deserted at the weekend. And yes lots and lots of photo opportunities other than the classic shots. Tower Bridge opens quite often during the summer months (May – September), lifting most days. You can find the times here: www.towerbridge.org.uk/lift-times/ The times are aproximate (you are working with ships, tides etc) but usually within 15 minutes. The ships are supposed to book at least 24 hours in advance with the bridge, so giving plenty of notice. Ahh that’s a handy bit of info! Thanks Nick! Thanks guys, appreciate all your kind comments! Gee! Now you’ve gone and ruined it. By taking the alternative shots you’ve further narrowed down the unique shots left for me to take.